I post a mixture of content from lifestyle related post that are helpful to my audience as well as fashion and beauty related content. I have a very active pinterest account with 177'000 monthly viewers and 15'000 monthly engaged viewers. On my instatories you can find me talking about beauty products and trends and my current fashion purchases. If you would like to work with me and you feel your brand is a good fit for taslynmatina.co.uk . Please get in touch at hiddenbeau.tblog@gmail.com. My media kit is available upon request. 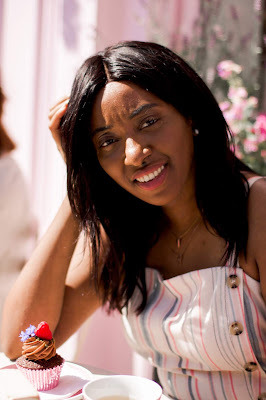 Throughout my time as a blogger my aim is to be as transparent, unbiased and honest in my opinions and I will only work with a brand that I fully believe in. I am very fortunate to have worked with some incredible brands during my time as a blogger some of these brands I even purchase regularly prior/ after working with the brand. I never reach out to a brand or have accepted a product for the sake of it. I've only accepted products when I am genuinely happy to give it a try. All Skincare will be trialled for a maximum of 3 weeks unless stated otherwise. If I am currently trialling a skincare brand I will communicate with the brand as to when they can expect me to start trialling their products and when they can expect a review. All sponsored or gifted item will contain an *asterix in the post and it will be clearly marked at the end of the blog post indicating whether its a sponsored post, collaborative post or contain gifted items. All images on the blog are owned by myself if you would like to use any of my images please contact me beforehand. Unfortunately I do not accept any guest posting or pre-written content in any form. Also I do not accept any collabs on the basis of writing about a product in exchange for exposing my blog to a brands audience for growth reasons. If you would like to contact me about PR Samples or sponsored post email me at: hiddenbeau.tblog@gmail.com.